We are loyal to slow, authentic food. We are loyal to local food. We are loyal to our community. we are the loyalist market. BE Real. Be Kind. Be loyal. 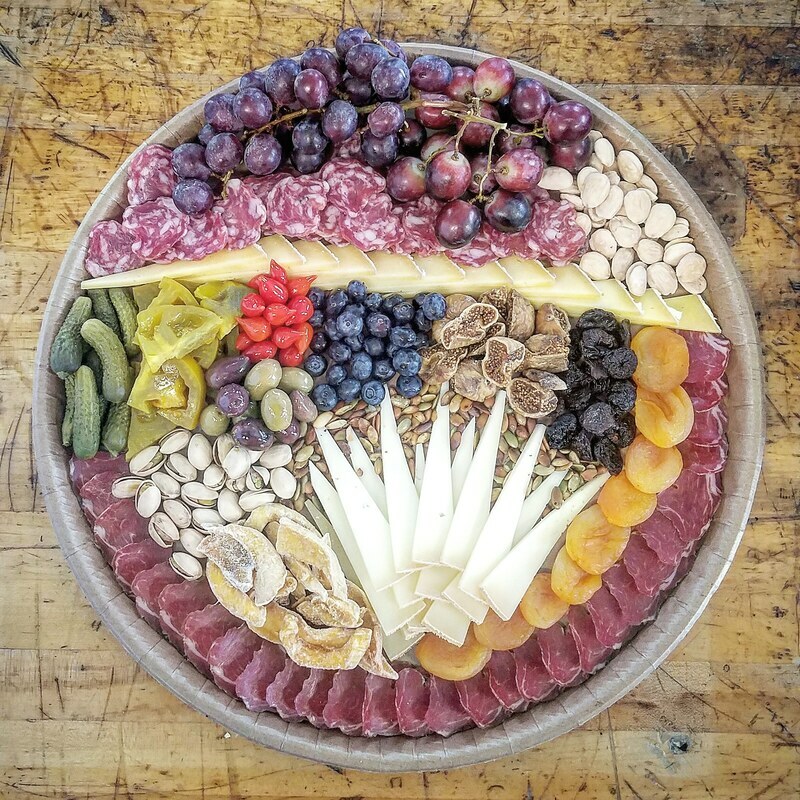 The Loyalist Market, located in the South Charlotte community of Downtown Matthews, is a place to learn about and experience cheese and charcuterie in a fun and unique way. There is no pretentiousness. We love talking about cheese and the different ways it can pair with wine, beer, and food. We want you to come into our shop excited to try new things, even if they scare you. We want you to leave feeling confident, ready to share your experience with your friends and family. Our shop is meant to feel like home - just a place to hang out and entertain. We can't wait for you to join us! Cheese is a living, breathing thing. But most cheese is dead when you buy it. The flavors, the aromas, the texture - practically gone. Small wedges suffocated in plastic wrap for several weeks are pretty much all we know. You may be intimidated because no one lets you try it and explain what it is, or who made it, or how long it was aged. Food is intimate. Food is personal. Let us share the experience with you and change forever the way you feel about cheese. WEDNESDAY: Half-priced wines by the glass all day! THURSDAY: $1 off all bottled & canned beers all day! FRIDAY: Half-priced draft beers all day! CUT-TO-ORDER CHEESE AND CHARCUTERIE. LOCAL BEER & WINE SELECTIONS. ARTISAN LOCAL PROVISIONS. A cut-to-order cheese and charcuterie shop offering over 60 artisan cheeses and cured meats from the US and abroad, along with artisan food products from the best producers the South has to offer. A sandwich shop by day. A cheese bar by night. Come enjoy it all at The Loyalist Market. We highlight some of the best cheesemakers and farmers in the South, in addition to some amazing American originals and international classics. And they haven't been sitting in plastic for weeks. We cut them when you order them. Experience what cheese is really supposed to taste like. We're proud to showcase American-made cured meats. You'll find our country's finest producers of country ham, bacon, prosciutto, salami, and French-style pate in our deli case. These same products are used in our sandwiches too. No commodity meat here. Our focused beer and wine selection is meant to pair well with our cheese and charcuterie offerings. Hang out with us for awhile and enjoy a drink at the bar or patio, or take a bottle home for dinner and a movie on the couch. We've sourced the best artisanal food products in the South. You'll find locally roasted chocolate and coffee, pickled vegetables, grains, oils, jams/jellies, crackers, honey, sea salt, soft drinks, kombucha, and more. That describes my feelings for food - especially cheese and cured meats. I constantly want to learn more and share that experience with others. The Loyalist Market is something I've wanted to bring to life since I first stepped foot into a cheese shop at 7 years old. I hope you're as excited as we are to share your new food experiences with us!